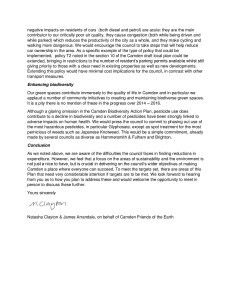 With the excitement of the general election behind us, it’s time to re-focus on the local agenda. 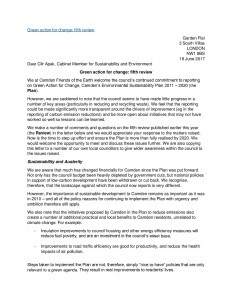 In 2011 the council launched their sustainability plan, Green Action for Change, with some fanfare. 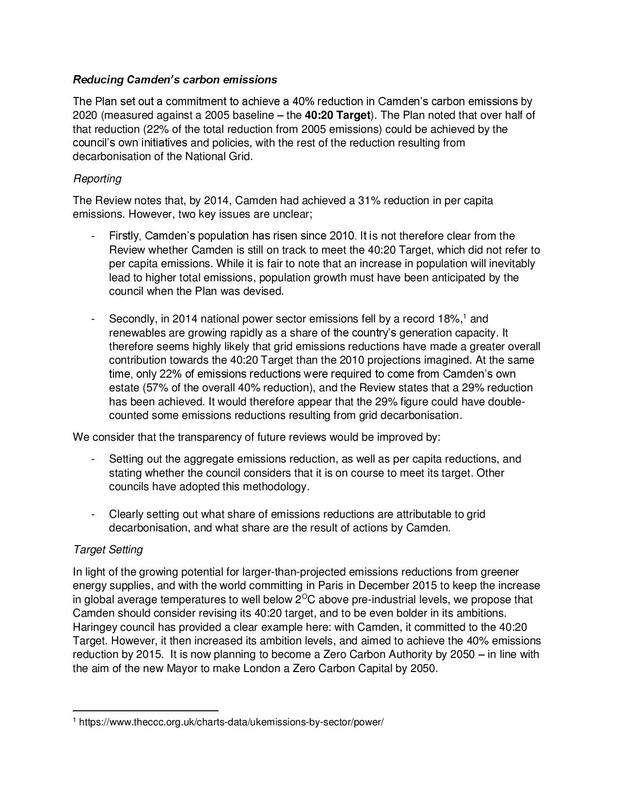 The plan sensibly focused many of the Council’s initiatives around improvements that would directly benefit local residents (such as home insulation). 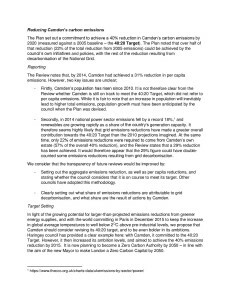 At the same time it set some ambitious goals around carbon emissions, recognising that the big-picture threat of climate change could also directly impact on the borough. What a contrast then, when earlier this year the fifth progress review was published almost without murmur. 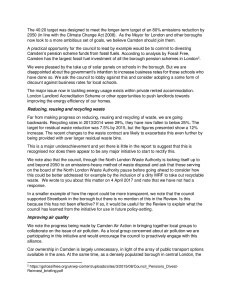 The review indicates a number of areas where the council appear to have made little progress (reducing and recycling waste for example). It’s also remarkably difficult to interrogate what has been achieved, as there is a shortage of clear analysis or assessment of lessons learned. 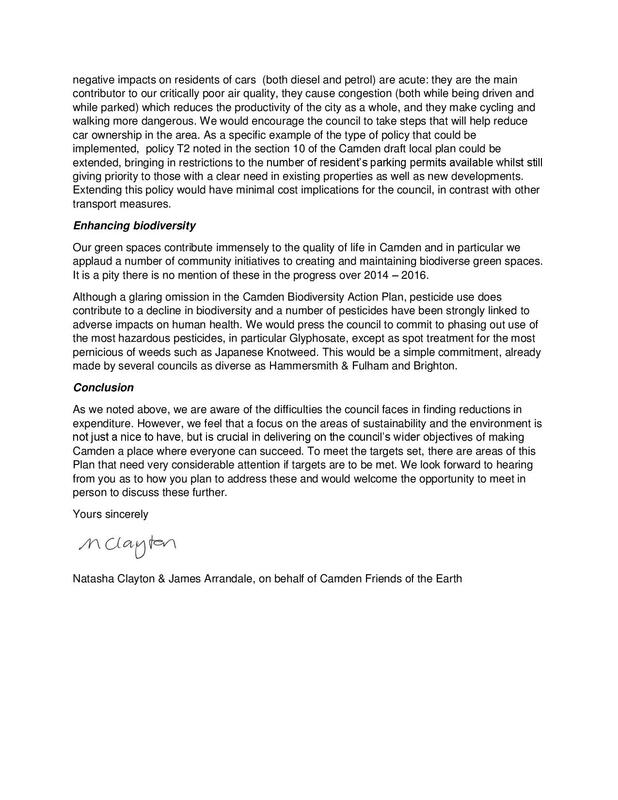 Finally, while Camden clearly has made some good steps towards greater sustainability, the world has moved on since 2011, and what was ambitious back then now looks decidedly mediocre – in particular when compared with what other boroughs in London are achieving. 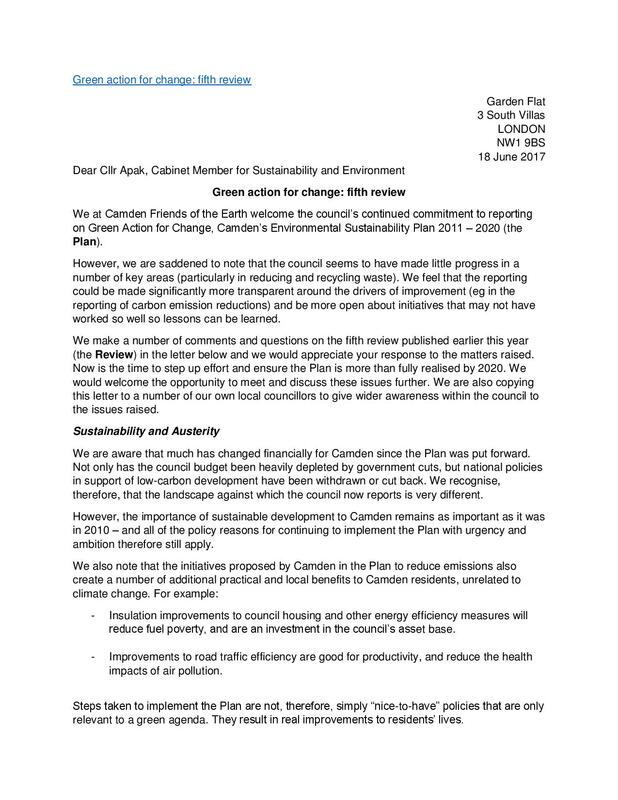 Camden Friends of the Earth have written to Councillor Meric Apak (the responsible Cabinet Member), urging the Council to once again take up their leadership position in this area and ensure that Camden is a healthy and resilient place to live in the future. 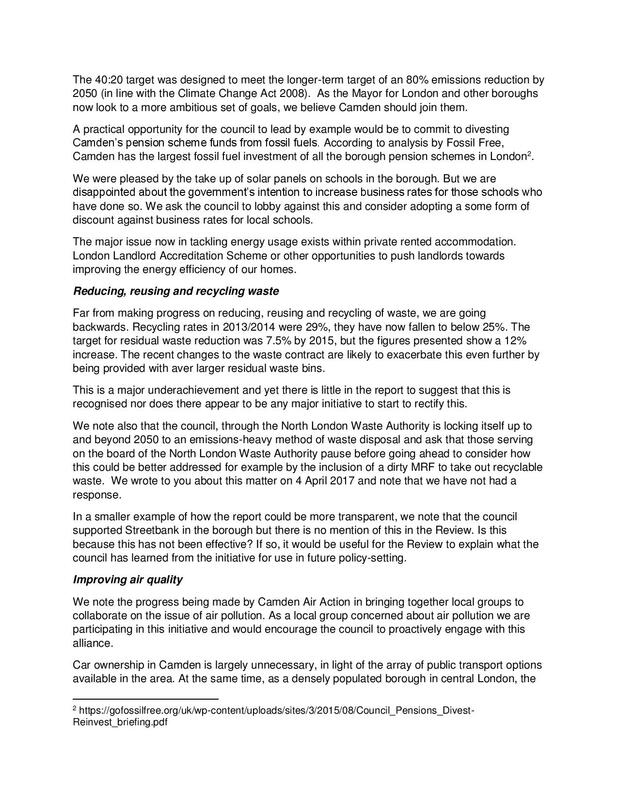 We look forward to greater dialogue between the Council and the public over sustainability. If you are interested in finding out more about this, please get in touch with us.